Heart's Delight Cards: Control Freaks Love Bouquets! Oh yes, we do! And that's the theme of this month's Tour de Freaks - Beautiful Bouquets! Now that Spring is right around the corner and flowers are popping out everywhere, what better way to celebrate than with some pretty inky blossoms? 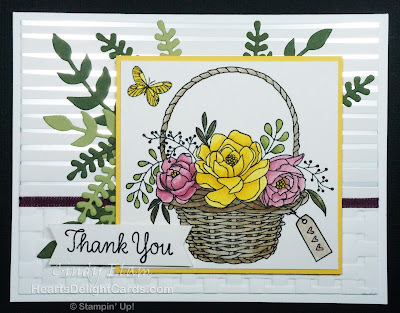 Whether you just hopped here from Kelly's blog, A Stamp Above, or are starting here, be sure to click the links at the bottom to take the whole tour. There are seven of us this time, so it's a quick trip! 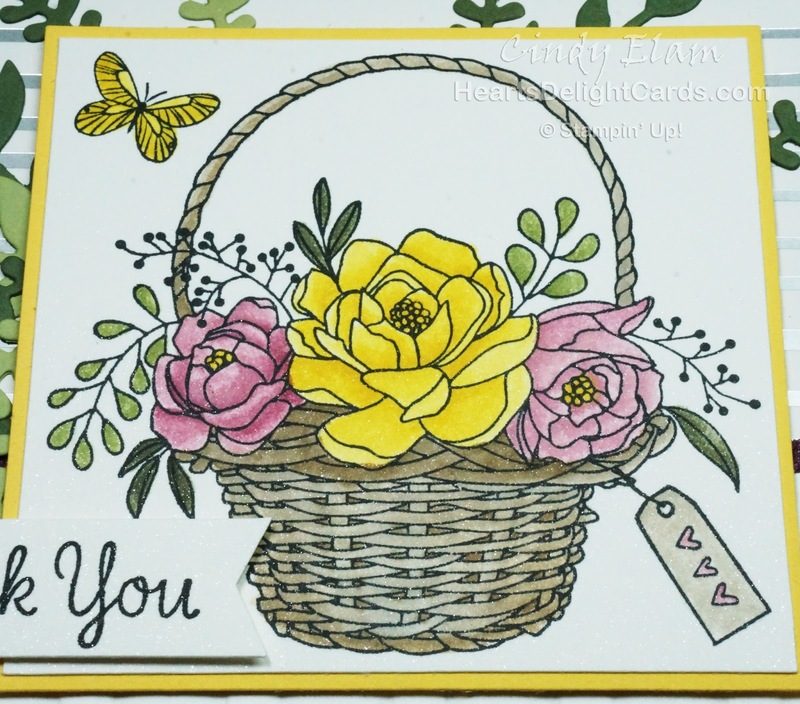 When I learned of the theme for this month, I immediately thought of the bouquet in the basket in Blossoming Basket. Remember, this s a Sale-A-Bration freebie you can get with a qualifying order. And, as of today, there are only twelve days left to get it! After coloring the basket of flowers, I added some die cut leaves from the Bouquet Bunch Thinlits Dies. I really like the dimensional look it gives! 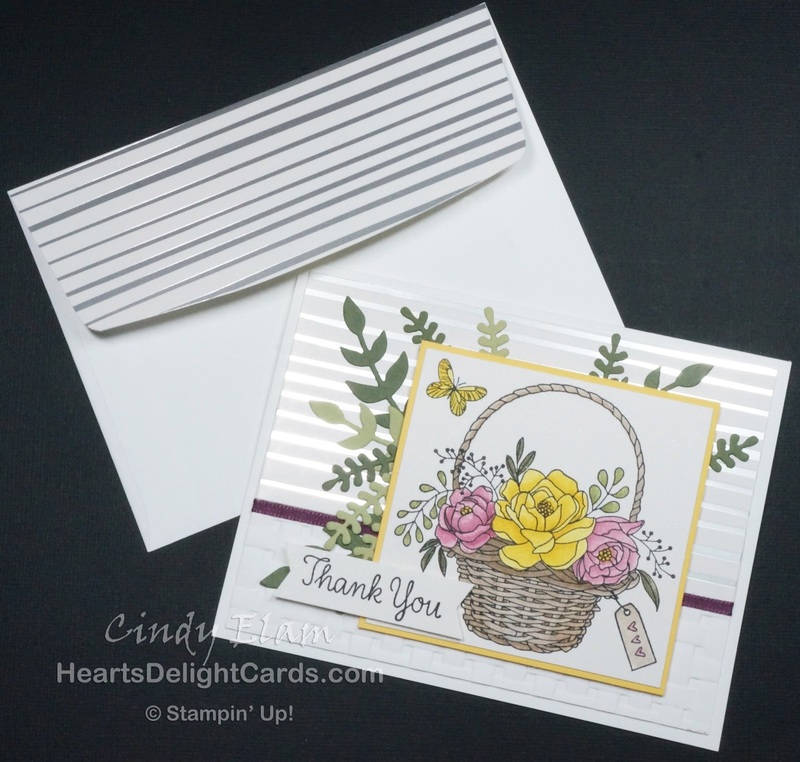 The silver lines on the Springtime Foils Specialty DSP dressed up the background, along with the basket weave embossed piece. I used some of the same DSP on the envelope flap for a classy look, as well. It's another SAB item you don't want to miss! 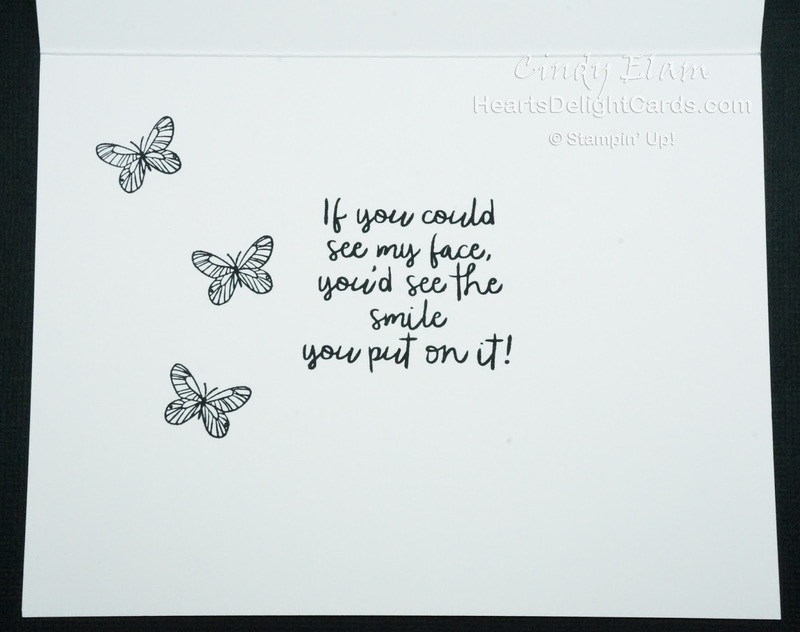 The inside sentiment is so perfect, because I am blessed many times by my friends, and they always put a smile on my face!!! 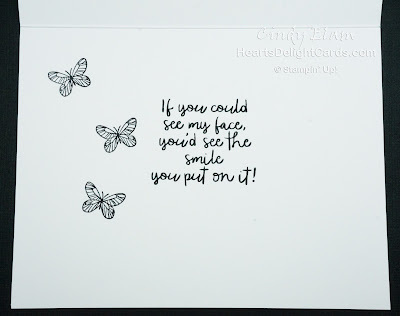 And aren't those butterflies just the cutest?! That's my "bouquet" for the day. Thanks for stopping by! Up next is Melissa Stout, aka The Stamp Doc!